Everywhereelse.co The Startup Conference has continued to grow, now to the point where the conference has moved from the original venue, The Peabody Hotel to the Memphis Cook Convention Center. That means that over 1000 entrepreneurs, founders, investors and startup supporters will have a lot more space to mingle, take in exciting startups and plot the takeover of the world. Everywhereelse.co is the first conference of it’s kind, bringing together startups from across the country (and around the world) all under one roof providing investors, fellow startups and great startup resources like the Global Accelerator Network, the ability to reach more entrepreneurs and more startups than any other event. The three day conference is being held in Downtown Memphis Tennessee with tickets sold as far away as Portland, Miami, San Francisco, Detroit, Toronto and even Israel. Attendees will take in the rich historical, musical and entrepreneurial history that has grown in Memphis Tennessee. Some of the biggest brands in the world like FedEx, Holiday Inn, Autozone, and even Mrs. Fields Cookies have roots that trace back to Memphis. The conference has three main focal points that will speak to startup issues that entrepreneurs across the country experience; access to capital, access to talent and acceleration. Speakers including: Scott Case, Rohit Bhangarva, Bill Harris, Tracy Myers and more will speak in keynotes, roundtables and fireside chats. FedEx will tell the story of how one man, Fred Smith, had an entrepreneurial vision in the 1970’s that on paper looked crazy. How he leveraged everything he had while bootstrapping and became the largest logistics company in the world. Because of the overwhelming response we’ve had to move the event a few blocks down the road to the Convention Center. At the new venue there will be a lot more room, and we have decided to extend ticket sales a few extra days. Over 100 startups are exhibiting in our Startup Village exhibition hall and we have a couple spaces left but they are running out quick. Check out the ticket form below. For Startup Village startups and questions about hotel. Feel free to continue to enjoy the charm and southern hospitality of the Peabody. There will be bus service in the mornings to the convention center and in the evenings back to the Peabody free of charge. There’s also the downtown Memphis trolley that picks up one block up from the Peabody and lets off at the doorstep to the convention center. The Downtown Marriott connects to the Convention Center and has offered everywhereelse.co guests a room rate of $109 per night for Sunday, Monday and Tuesday. 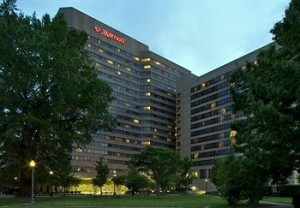 Rooms can be booked by calling (901)527-7300 or call the toll free reservation line at (888)557-8740. 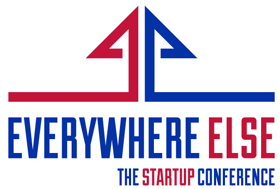 You must tell the reservation agent you’re with everywhereelse.co The Startup Conference. We found out in speaking with the Marriott that our dates are a little heavy and we’re assuming that’s because some of our attendees have already booked at the Marriott because of points. If your rate was more than the $109 special rate the Marriott is giving the conference you can call the Marriott and they will rebook you under the new rate.